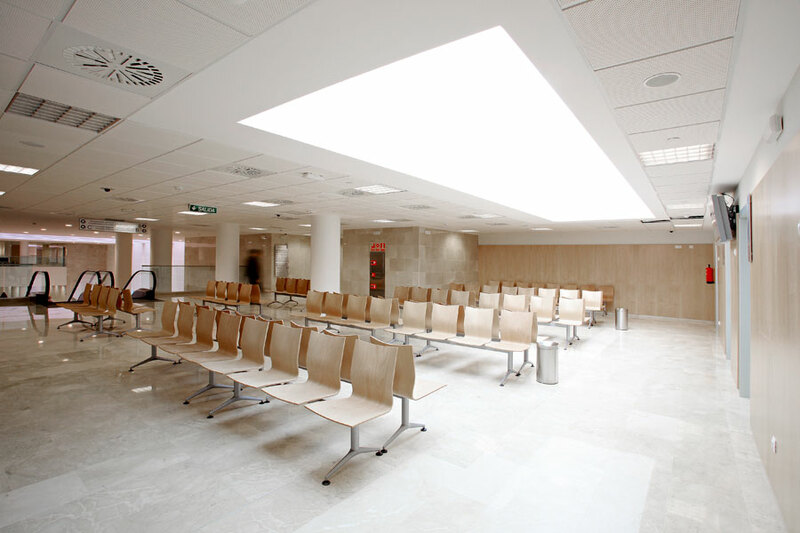 The new University Hospital La Fe in Valencia presents a powerful image with a contemporary language; the large volumes of prefabricated white concrete generating some round pieces that make up a very rich spatial and functional set. 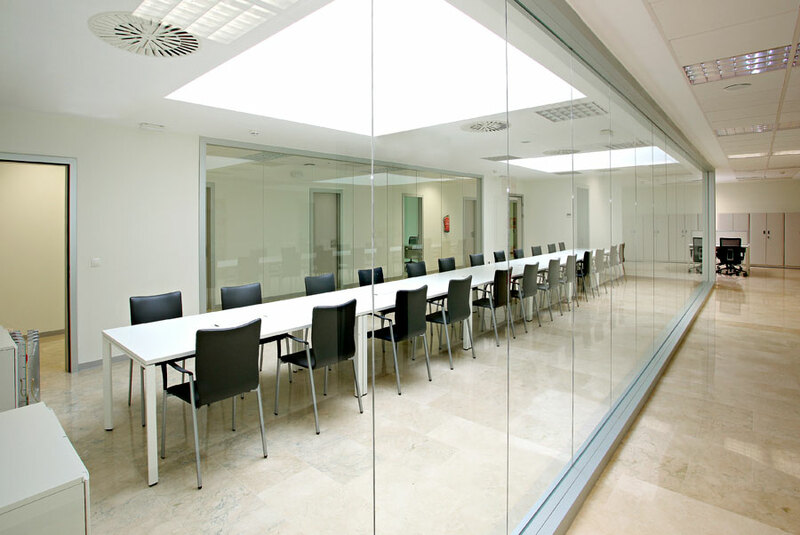 This is a project from the architects Ramón Esteve and Alfonso Casares from Aidhos Arquitect. 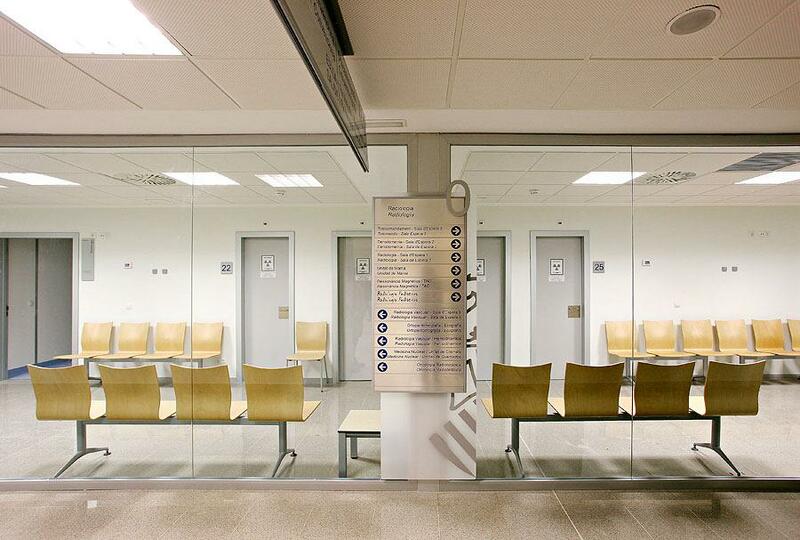 With capacity to serve 4000 patients per day, 1000 single hospital beds and with a surface area of 260 000m2, it is the largest health project that has been carried out in Spain for both its budget and its size and volume of activity. 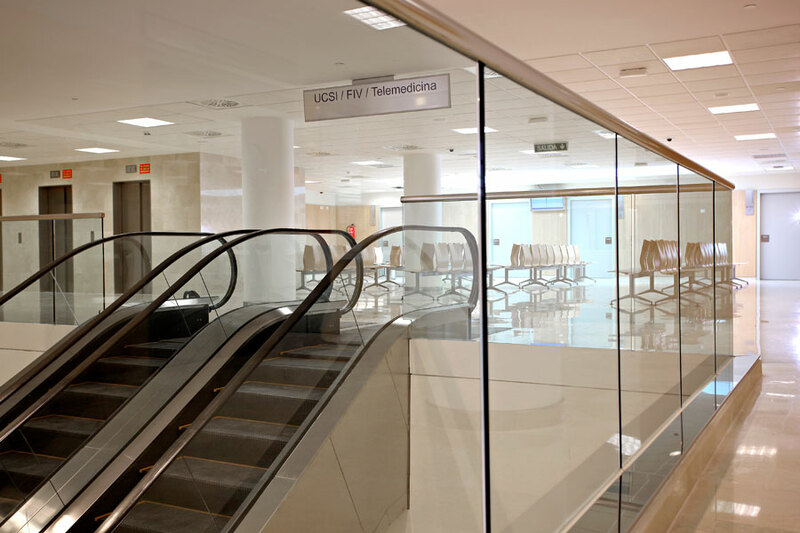 The Valencian Government has invested 383 million euros in this build, of which 120 million has been destined for the latest technology and equipment. 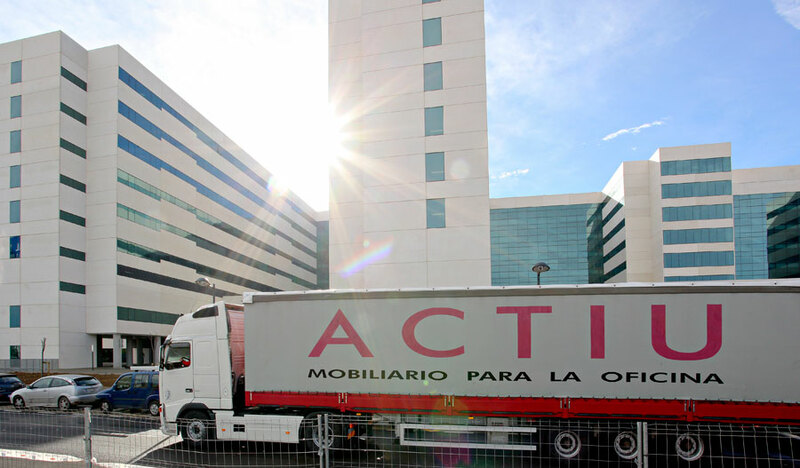 Actiu has participated in advisory, space distribution and creation and installation of office furniture for various work environments, Customer service and waiting areas, providing a product designed to meet the welfare of people. 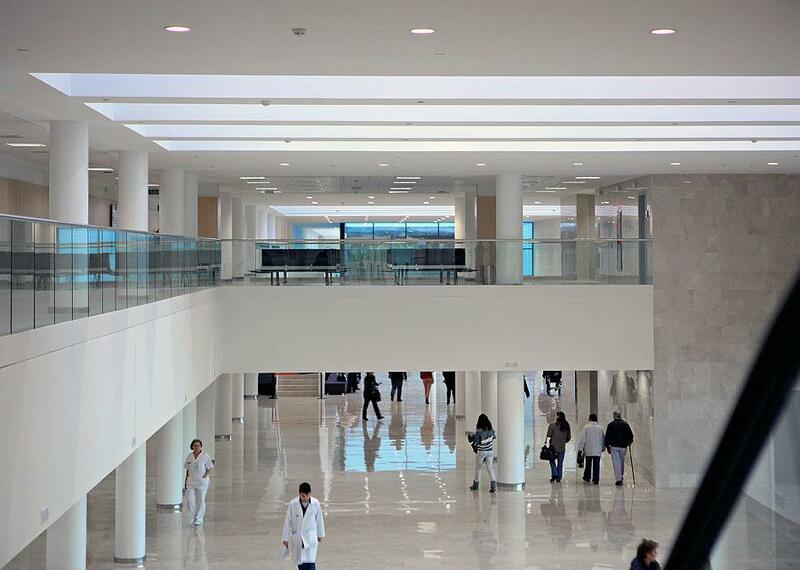 The construction of the new La Fe Hospital part of a single building comprising of four blocks connected effectively in its interior, which correspond to the Assistance Area, Investigation, Teaching and Facilities. 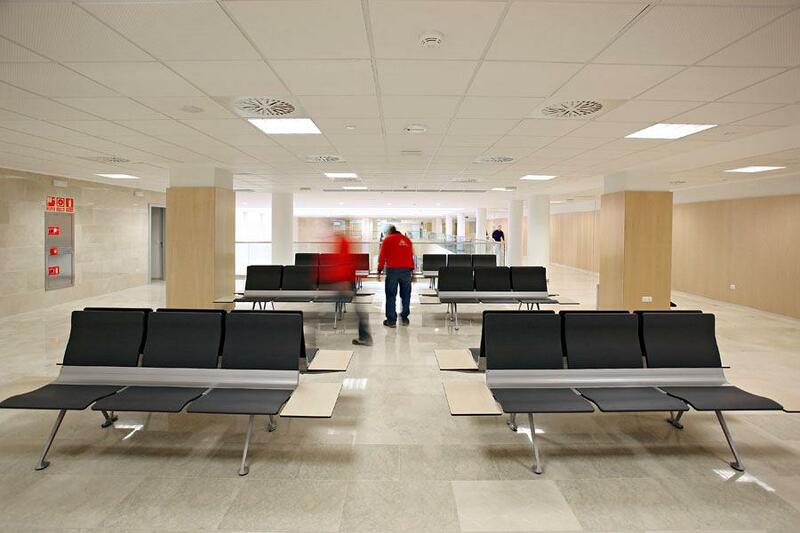 The spacious waiting and transit areas have been furnished with the Íkara bench, in wooden lacquered beech, whose design makes it the optimum for intensive use. 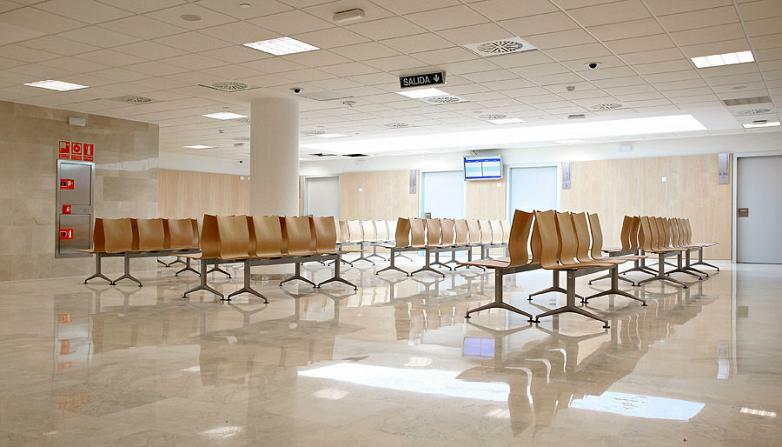 As an alternative, it has also used the Transit bench in two of a possible three versions (polyurethane and wood), with an end aluminized steel sheet table. 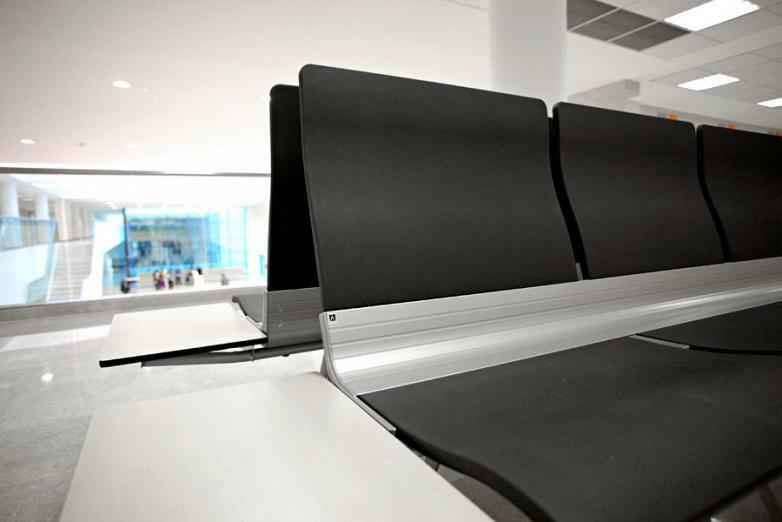 An extruded aluminium central beam joins the back and the seat, being its hallmark and giving this product its unique design and comfort. 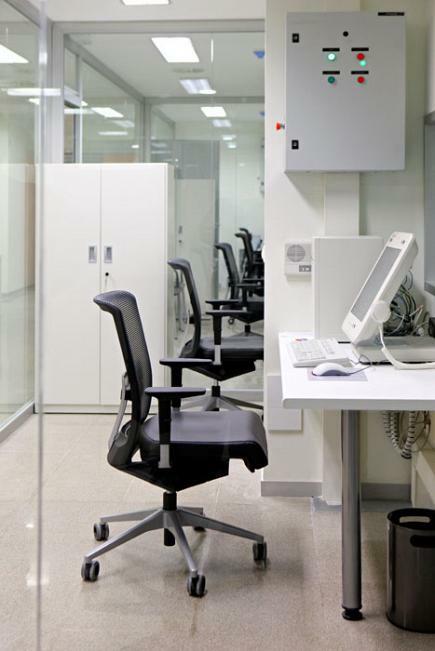 The workstations for different areas demand operability and functionality. 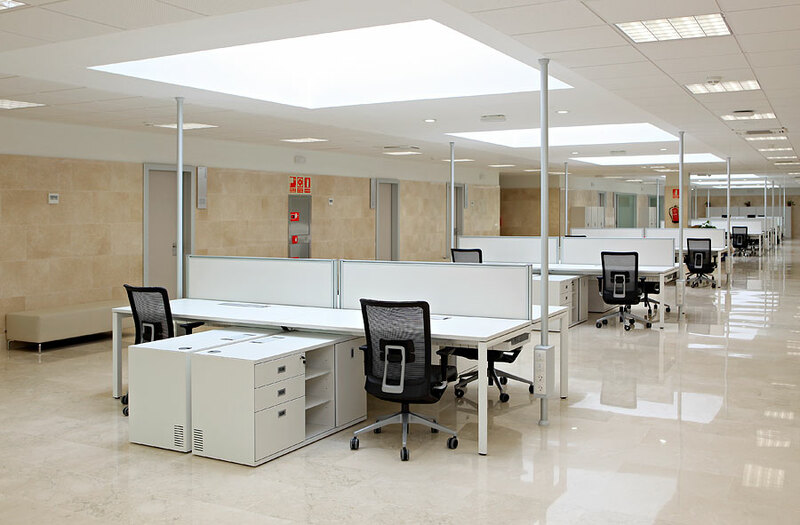 The program of Vital Plus desks, combined with the pedestal that fulfils the functions of support wings and filing, have covered the set objectives. 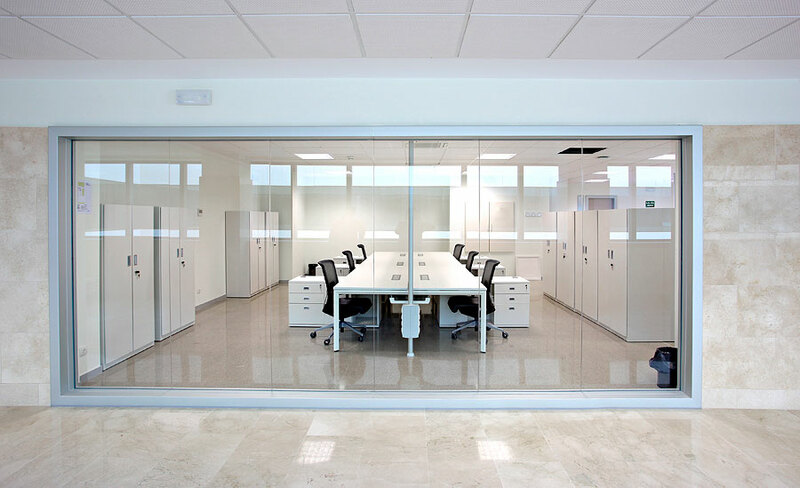 Furthermore, the Split dividers guarantee privacy for the workstations, for those positions that require it. 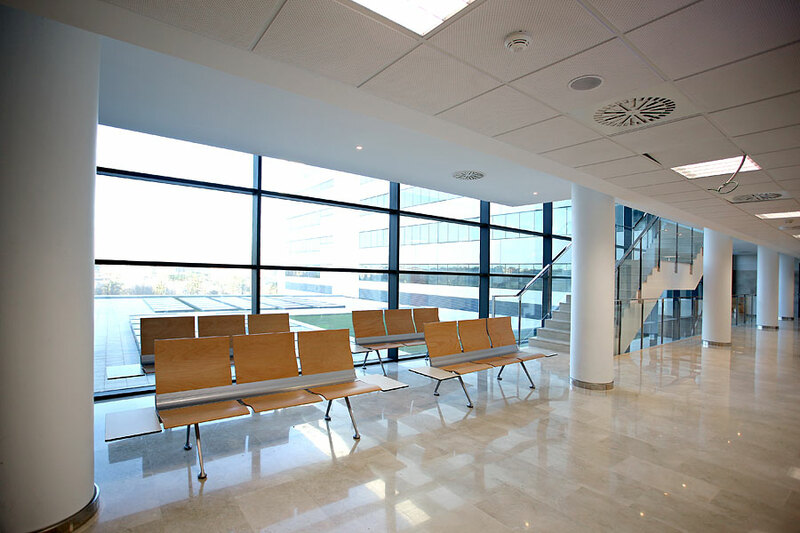 The ergonomic Winner chair has been chosen to complete the facilities. 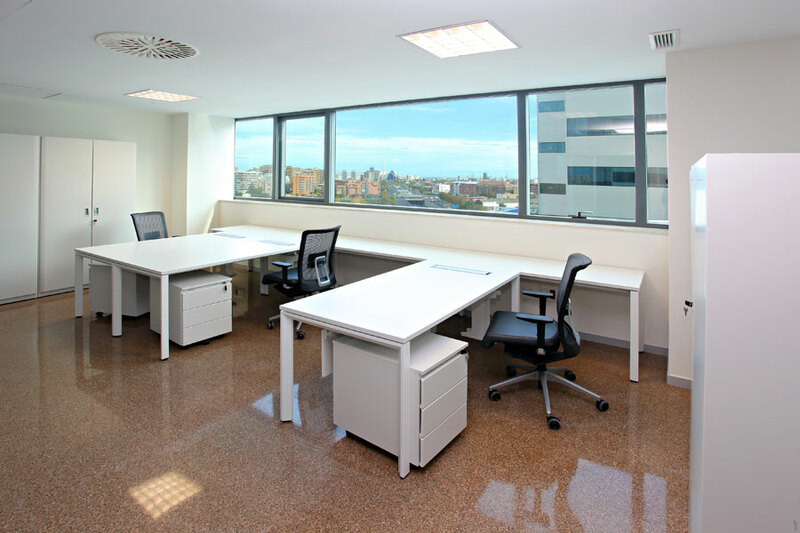 This office chair responds to the needs of mobility, adapting itself smoothly to any position and minimizing user effort to maintain or vary a position, in a natural way and without the need to make manual adjustments. 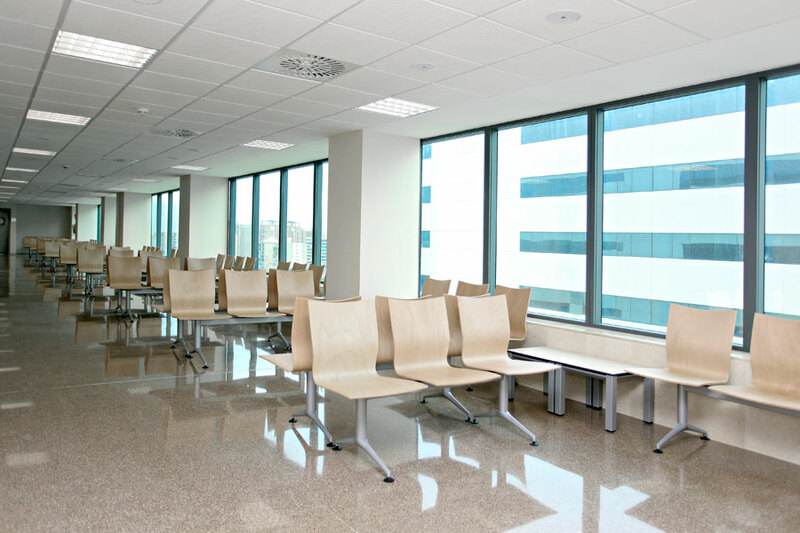 For communal areas that use workers from the hospital and meeting rooms, the program of desks Vital Plus have been selected again, because they offer the possibility to carry out multiple compositions. 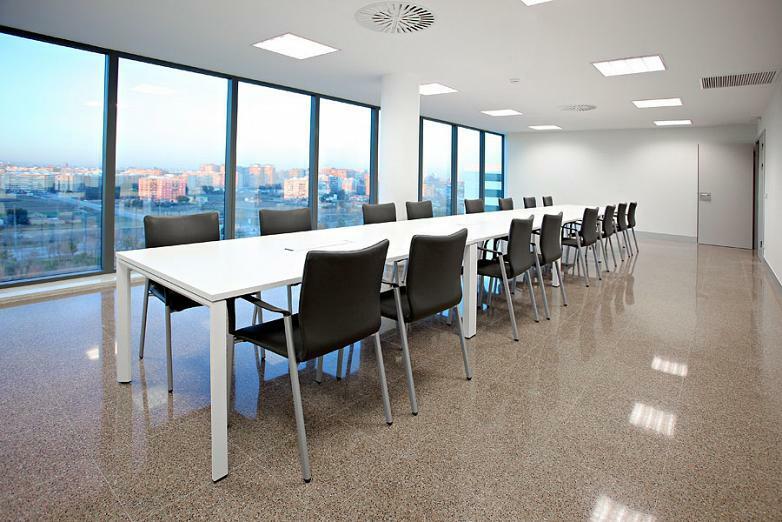 The Uma chair, with its discreet and elegant style, offers a various range of models suitable for different equipment needs. 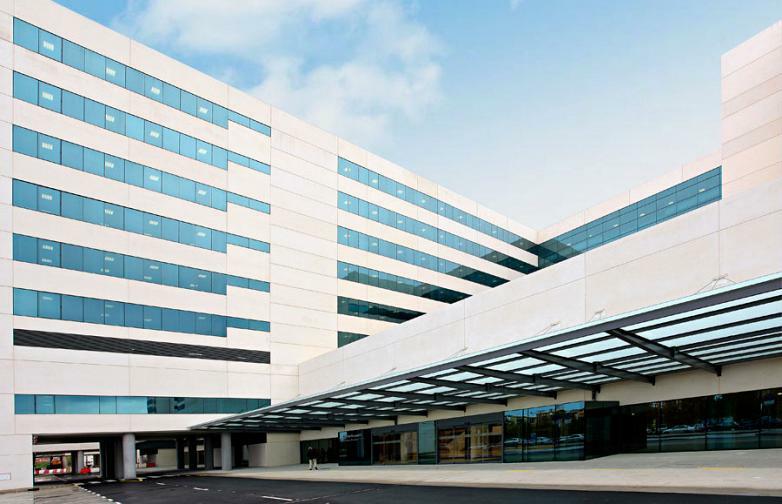 The architecture of this building translates to "a change of model" with an integrated structure, which is the current trend in the construction of hospitals, which allows the sharing of technology, knowledge and experience between units and specialties. 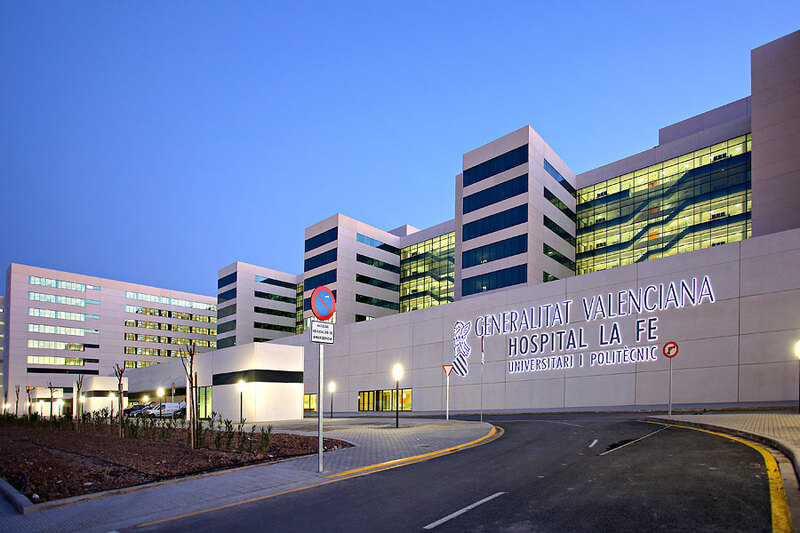 Furthermore, the new hospital is a benchmark in sustainable building, as a pioneer in the health field in the use of solar energy for self sufficiency of hot water. 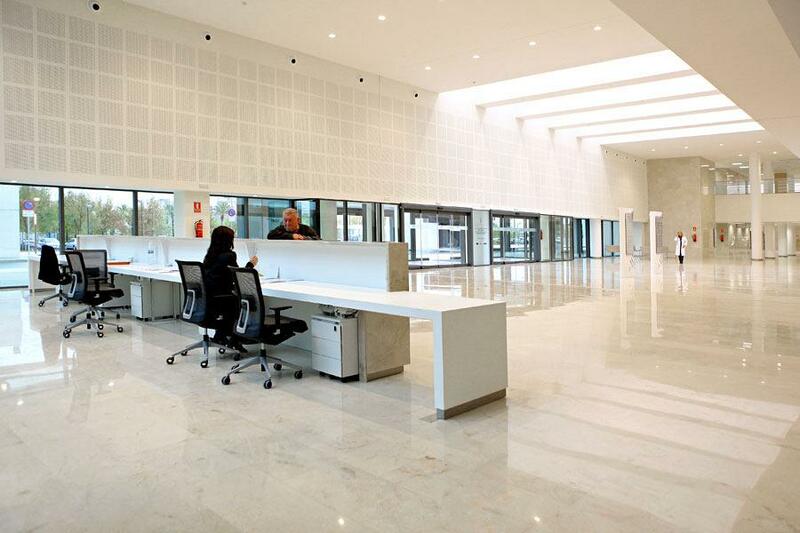 It also has high energy efficient air-conditioning and lighting.